Four local ladies, and their talented student production team, are making history. They put together the first student-run local reality show aired on a network affiliate station. Last Sunday, the first of a “four-show summer test” aired on Fox19 and the next episode airs tomorrow. Downtown residents Tracey Conrad, Lauren Brown and Adhrucia Apana, and Katie Cassidy of Indian Hill, star in the show. I sat down with the four ladies to chat with them about the show, how everything’s going since the first episode aired and what’s in store with the future episodes. First off, the girls were excited about the local businesses they were able to feature. Their wardrobe, for example, features lots of local flair. Adhrucia is wearing an Amy Kirchen black dress (above) in the promotional shots of the show. Tracey is wearing a Serket necklace in the opener and has a Lindsey Lusignolo gown made in the first episode. Katie wears an Ohio necklace with a diamond where Cincinnati is, designed by Paolo Jewelers. Other local businesses to be featured in future episodes include Park and Vine, Breathing Room, Unheardof, nada, Blue Jay, Chicken Lays an Egg, Shake It Records, Righteous Room, Fuel, Pavilion, and Fast Eddies. They were also excited about the production value, which I have to say, I think was the best part of the show. The students did a phenomenal job and should be extremely proud of themselves. The production is very professional and polished, and those kids are going to graduate with some incredible experience on their resumes. The show also features the city in a very positive light. The skyline is gorgeous, they visit many downtown businesses, bars, restaurants and attractions – which helps folks watching in the suburbs realize downtown is safe, fun and vibrant. But not everything got in that first episode that the girls wanted to get across. While that first episode successfully showed that they’re fashionable downtown gals who love a good party – especially if it’s for a good cause – the girls say they’re much more than that. For example, Tracey says she’s not just a full time volunteer. She’s also a mom of a 10-year-old active daughter. She gets up early, packs her daughter’s lunch, car pools and runs her daughter around to her sports and activities like so many other local moms. Adhrucia works three jobs. The first (the one she says “pays the bills”) is Cutting Edge Selection, a wine distributor. The second is XBMD Designs, a social media marketing company, and the third is a start-up online publication she’s about to launch. Lauren echos the same silver spoon sentiments. With her father being Richard Brown, the former maitre’d of the Maisonette, being very influential in the restaurant industry, people assume she didn’t earn her position of Executive Chef at the University Club. Quite the contrary, Lauren says. She’s been cooking since she was 18, climbed her way up, and pulls 50 hour work weeks regularly. Lauren also wants everyone to know she’s a proud West-sider. So, keep these things in mind as you tune into Fox19 for the second show this Sunday at 11p.m. While on the surface it might just look like a show about four fab girls hitting the town, these girls say it’s more than that. It’s a showcase of great local businesses, organizations, our city, and most importantly – a talented student team at Cincinnati State we can all be very proud of. Check out the webcast below to learn more about the show and what’s to come in future episodes. 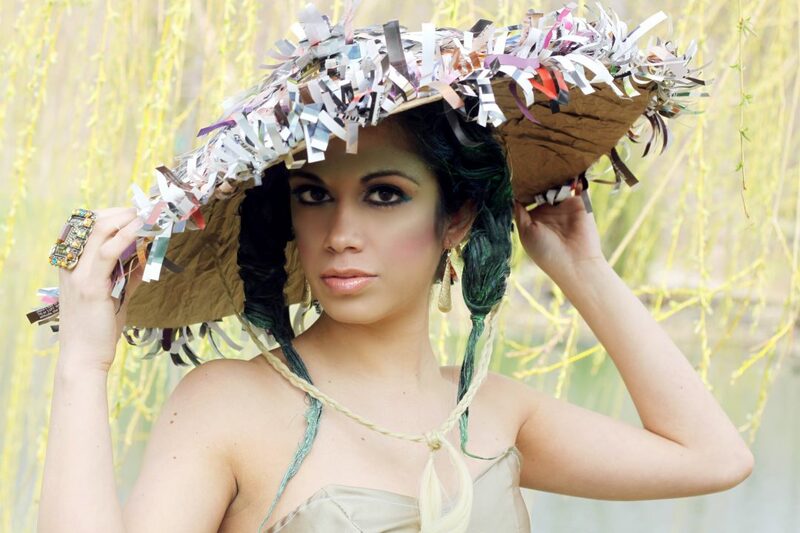 Our Wearable Art fashion show is almost here – I can count the days left on one hand now! For more information about this event or to buy tickets, click here! Leading up to the event, I’ll be featuring one vendor a day from the event so you can learn more about what’s in store for you at this fab fashion show! Today’s featured artist of the day for the Wearable Art Fashion Show is Lyn Bucalo, owner of Serket Jewelry. 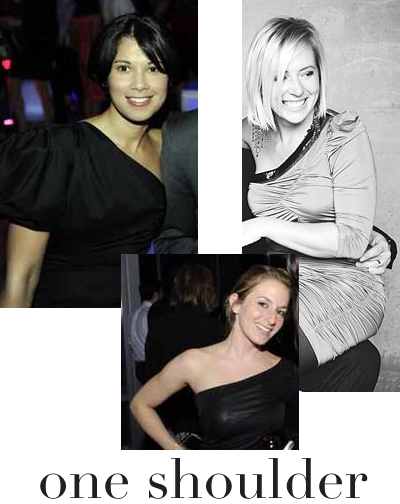 If you have attended a Cincy Chic event lately then you have already seen her work worn by the models. 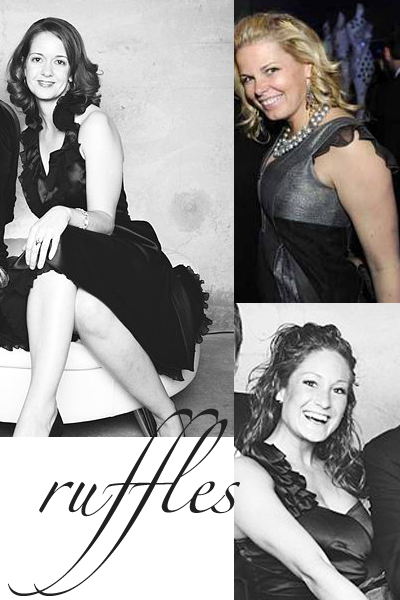 This will be no exception for Friday’s event; the models will be accessorized by her one of a kind jewelry! Lyn uses top designers like Channel, Oscar de la Renta and Dannijo as inspiration to keep pushing herself to come up with one of kind pieces, keeping up with the latest trends. At the Wearable Art Fashion Show, Lyn says attendees can expect, “Layers of necklaces and bracelets, as well as the hot look of the season feathers! Some of the necklaces are even bigger and junkier than before with gobs of beads and chains draping from your neck”. After her fashion show at the Red, Pink and Blue event, we are all excited to see her new styles. Lyn’s favorite pieces and best sellers are her necklaces, when designing them she has more options in materials to explore new creations. Some of the materials she uses to create her jewelry include: vintage jewelry, scarp booking materials, craft supplies, shells, broken jewelry, flip flop jewels, hat pins and charms, really the sky is the limit. The Serket Jewelry Facebook page is filled with pictures of her innovative jewelry and most recent pieces. 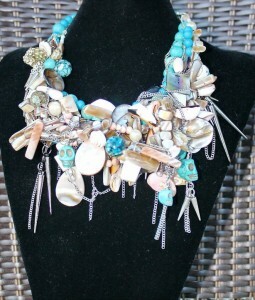 Lyn Bucalo will be at the Wearable Art Fashion show with her jewelry. Please take a look at the Serket Jewelry website. They are also for sale in three local Cincinnati boutiques: 4U Fashion Boutique (downtown), Knickers of Hyde Park and The Little Red Gift Shop (Montgomery). Their style keeps changing so keep checking back to their website to see the most recent Serket Jewelry pieces! The Wearable Art Fashion show is coming up soon, check out the Cincy Chic website to learn more about the event and to get your tickets. Me and the Cincy Chic team have an event coming up with the Cincinnati Ballet called “Wine and Wardrobe.” I’m very excited about it! It sold out quickly, so I’m hoping it becomes a regular thing. Attendees will enjoy meet and greets with dancers, a viewing of a ballet performance practice, and an exclusive tour through the Ballet’s wardrobe department… which is home to *decades* of wardrobe commissions! In the wine tasting area of the event, there will be models on platforms, showcasing the latest jewelry fashion trends, by Krombholz Jewelers and Serket Jewelry, as well as hair and makeup trends by Mitchell’s Salon and Day Spa. Wine at the “Wine & Wardrobe” event is courtesy of Scene, which is also where the official after party will take place. Lyn, Serket owner/designer, just visited me. We chatted about the upcoming event and she shared some sneak peek pics of the concept she has for the models at this event. Check out the video below! Eyewear is the new handbag. Seriously, I feel like so many more people are making a statement with their eyewear these days versus their Coach or LV logo-bedecked bags. For example, my friend Pam Kravetz has a ton of fun, funky glasses… always wearing a different pair… and I don’t even think she has a prescription for them! haha! So, I got to talking with one of my clients, Holte Eyewear, about this and we came up with the idea to do an eyewear fashion show. They carry some really great brands in a wide range of prices, but they are all tres chic, which I love. So, on Oct. 22, we’re hosting a “spec-tacular” eyewear (get it?? haha!) 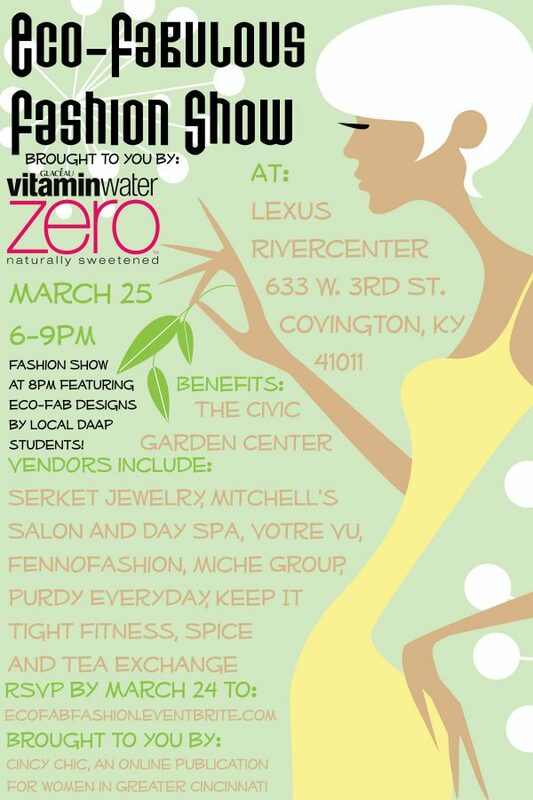 fashion show I hope you can attend! Enjoy complimentary drinks, stylish shopping with Serket Jewelry and of course Holte Eyewear, and the fab fashion show! Get 20/20 vision in this Fall’s hottest eyewear trends! Join Cincy Chic and Holte Eyewear for a fall Fashion Show featuring the latest eyewear styles to be seen from Chanel, Gucci, Prada, Coach, Fendi, Tory Burch, and Tom Ford. Also see Jewelry featured from Serket Jewelry. Scope out the fashions that are easy on your eyes! Spend the evening sampling hors d’oeuvres, wine, and gift bags from Holte Eyewear! Also enjoy a presentation from Dr. Elliot M. Kirstein with all you need to know about Latisse to grow longer, thicker, darker eyelashes. The evening will conclude with a $250 Holte Eyewear gift card and Gucci Sunglasses. Enter to win a free weekend Lexus lease and a beautiful silver bracelet from Richter and Phillips.